16A/32A-IP67| CEE Plug (with CEE/IEC 60309-1, 60309-2) en CENVALSA. 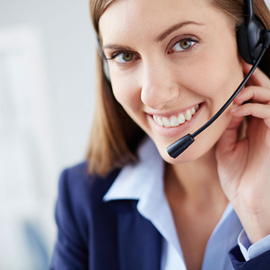 16A/32A-IP67 | CEE Panel mounted inlet (with CEE/IEC 60309-1, 60309-2) en CENVALSA. 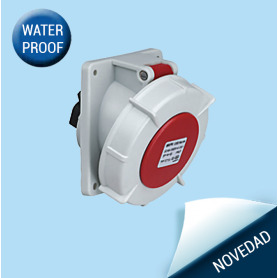 16A/32A-IP67 | CEE Panel mounted socket en CENVALSA. 16A/32A-IP67 | CEE Panel mounted socket 20° angled - Flange: 85 x 85 mm en CENVALSA. 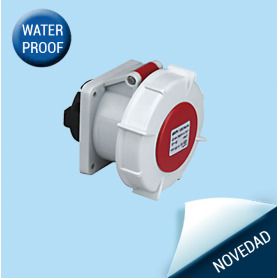 16A/32A-IP67 | CEE Panel mounted socket 20° angled - Flange: 100 x 92 mm en CENVALSA. 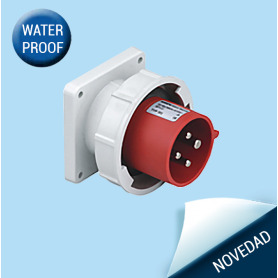 16A/32A-IP67 | CEE Surface mounted socket en CENVALSA. 16A/32A-IP67 | CEE Connector en CENVALSA.